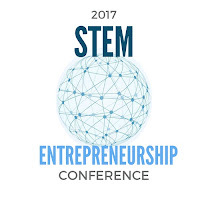 The 2017 STEM + Entrepreneurship Conference, a student-organized event, will be held ONLINE on Saturday March 4th, 2017, and feature keynote speakers and crowd-sourced presentations by students in grades 6-12 and college. There is no cost to participate or attend. Please share this outreach from the organizers: "Students of the global village, we have a question for you! Are you doing interesting projects or research in your classes related to science, technology, engineering, mathematics, or entrepreneurship? Do you want to share your work with the world? In 2016, students from Australia to Asia presented at the 2016 Global Student Technology Conference. Our free, annual online conference is a great way for you to present your work as well as a great opportunity to network with other students actively involved in STEM and Entrepreneurship. And help us support our conference by contributing to the conference Kickstarter campaign at http://bit.ly/globalstuconf2017. This campaign goes to support the conference infrastructure needed to make the conference come alive!" Sign up at http://www.GlobalStudentConference.com to register to attend, to be kept informed, or to submit a proposal. The call for proposals for the conference is now open, and submissions will be accepted on a first-come basis. While everyone is invited to attend the actual event, conference session proposals will only be accepted from students! Please also help us promote this event, particularly to students who might consider presenting or attending. This is our third year of a student-organized online conference (it was previously called the "Student Technology Conference"), and archived recordings of the previous years are available on the site to help students become familiar with the concept. As well, training and support are provided to presenters, many of whom will be presenting for the first time. The primary and founding sponsor of this event is Marymount School of New York. Schools interested in becoming conference partners, or organizations interested in sponsoring, can email steve@learningrevolution.com for more information.